changes to the building design to incorporate additional heritage features. *Please note that the project description was updated on April 27, 2017. No change to the revised application was made. 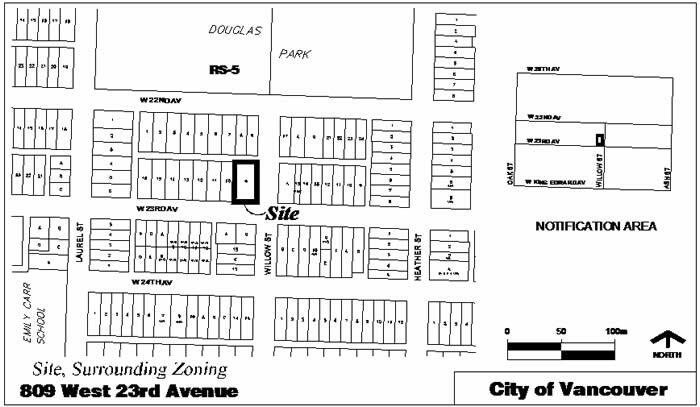 A community open house was held from 5:00-8:00pm on Monday, November 7, 2016 at Douglas Park Community Centre (801 W 22nd Ave) with the applicant team and City staff available to answer questions. This application has been approved by Council at Public Hearing on June 13, 2017. The proposed floor space ratio (FSR) of the development is 1.19. The application includes 6 primary dwelling units and 4 lock-off (secondary) units. A maximum building height of 11.1 m (37 ft.), the height of the existing building. The following parking and bicycle spaces are proposed: 5 parking spaces and 11 bicycle spaces. A community open house was held from 5:00-8:00pm on Tuesday, September 29, 2015 at the Chown Memorial and Chinese United Church (3519 Cambie Street) with the applicant team and City staff available to answer questions. Staff have completed their initial review of the rezoning application and have requested revisions to the application including changes to improve the heritage conservation approach, explore further on-site tree retention and improve the relationship of the proposal to the surrounding residential neighbourhood. Once revisions are received staff will notify the public and invite further community feedback.